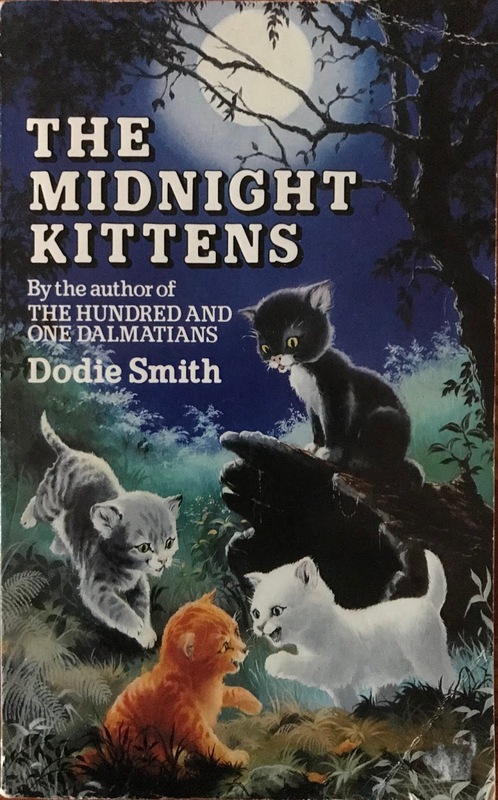 I really enjoy reading "old school" middle-grade fiction to my younger daughter. I picked this one up at a used book sale. 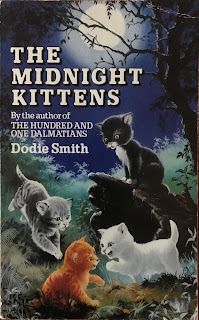 It wasn't until the time that I wrote my review that I see from Goodreads that this is Book #3 in The Hundred and One Dalmatians series although the cover simply states that it is by the same author and makes no mention that it is a sequel. We haven't read the others in this series. Ten-year-old orphaned twins, Pam and Tom, are heading by train to the grandmother's house to spend their half-term vacation with her. Grandmother tells the children about the hedgehogs that she has been feeding, and she places a saucer of milk with bread in it outside each evening. The children decide to stay up late to wait for them and catch a glimpse of the night-time visitors. They are surprised to see four kittens at the dish, with the hedgehogs waiting nearby for their turn. The children don't want to tell their grandmother about the kittens because they feel that it will be "too much" for her because her cat Mogg recently died and she's not yet ready for another cat, much less four! Grandmother tells the children about Freke Hall, a derelict mansion that has been vacant for some time but has now been recently sold. It will soon be opened up to the public for tours, and Grandmother wants to take the children to see it. They are told that there is a secret room in one of the halls.